The FREDIE’s. What a fantastic night! Is Trump in a confidence and supply arrangement with Nazis and the KKK? Do EDI Professionals Treat the Protected Characteristics Equally? Investors in Diversity in Portugal – three steps closer! Investors in Diversity is going international as we take it to Portugal! Cognitive Bias – how aware are you of yours? A dream of a workplace! Research reveals how amazingly successful you have been! UK construction worker in hate crime on me on the M1 – in his firm’s uniform! 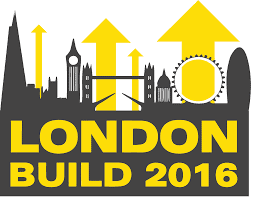 National Centre for Diversity partners with the UK’s leading Construction event! Does Equality Mean Men Should be Forced to Wear High Heels in the Workplace as well? Workplace Culture – Where does it come from? Has it become ‘uncool’ to talk about race? Women in charge – why is there STILL gender inequality? For decades, women in the workplace were openly considered as supporters, enablers and facilitators for powerful men.